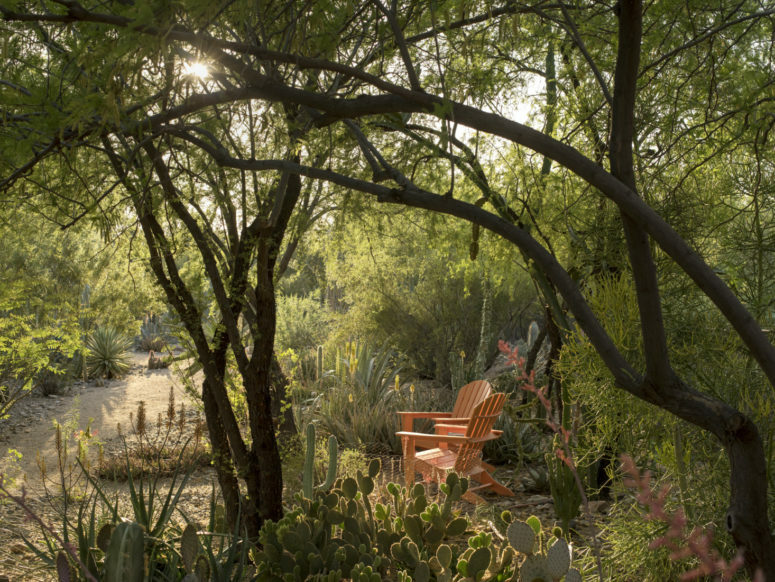 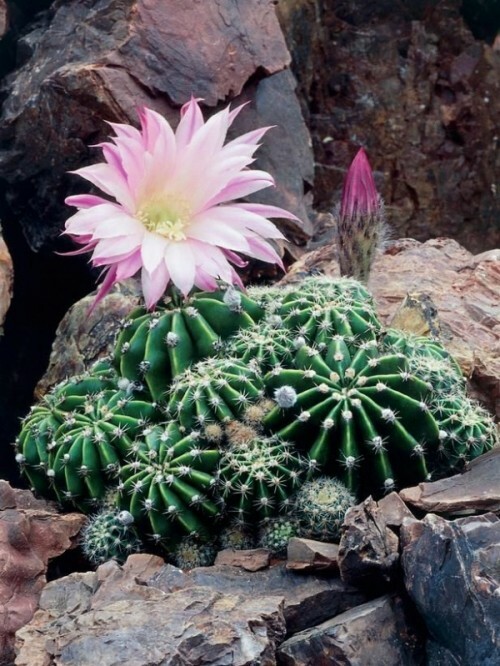 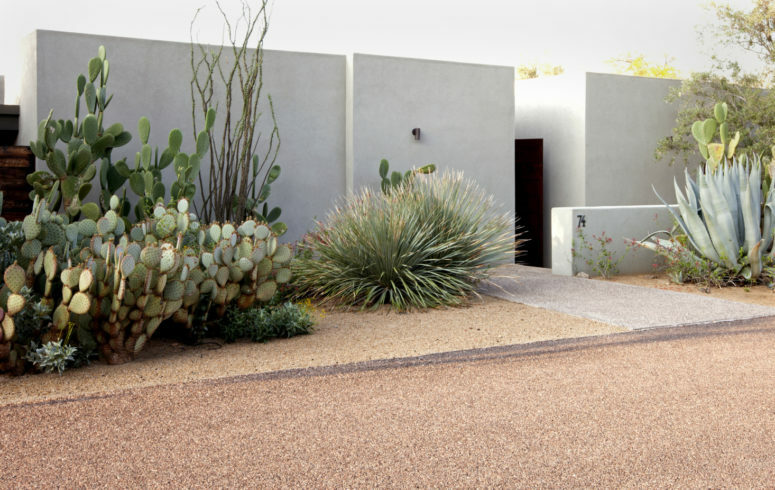 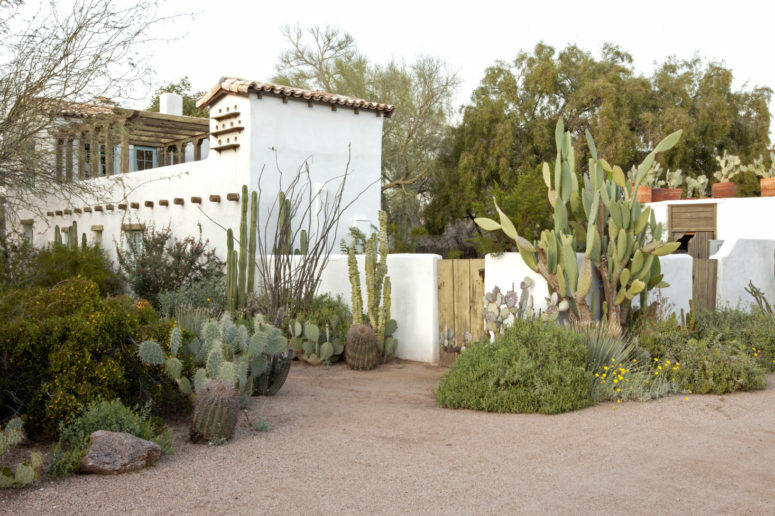 If you live in the desert, how do you design a garden that feels welcoming instead of prickly and dry? 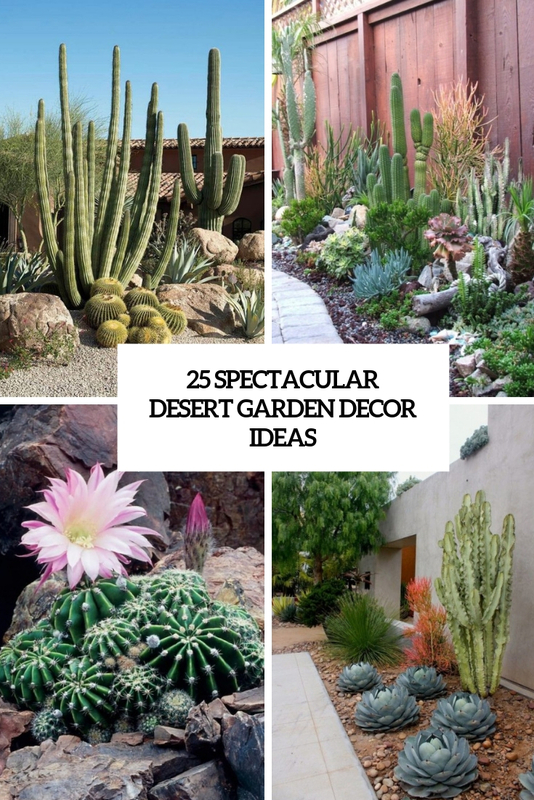 Well, take the advantage from everything you can: dramatic plants, large rocks, bold colors and other stuff you may see in the desert and add a fountain as an oasis. 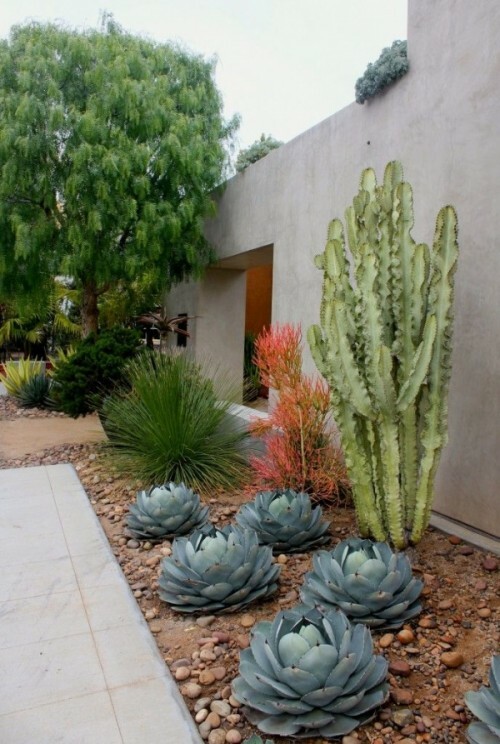 The ideas that we’ve gathered will inspire you and will make your desert garden wow! 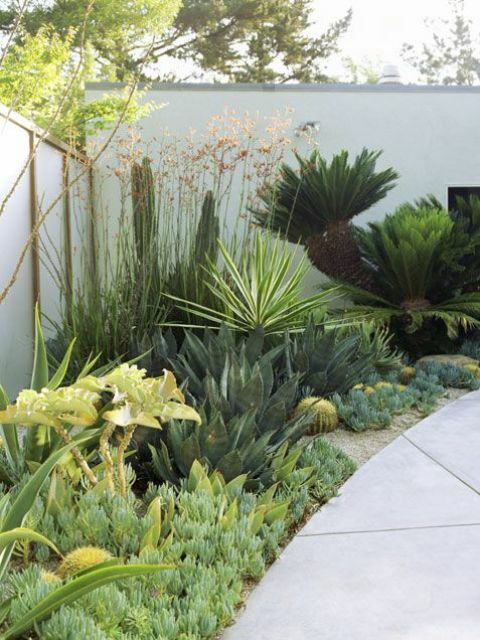 Entry walls or a front garden fence are a natural backdrop for large and dramatic plants that will make the base of your garden. 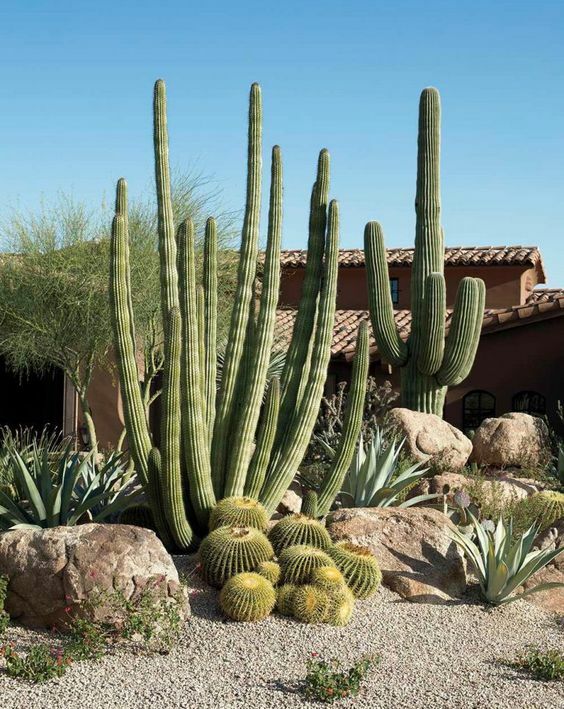 What can be more dramatic than large cacti? 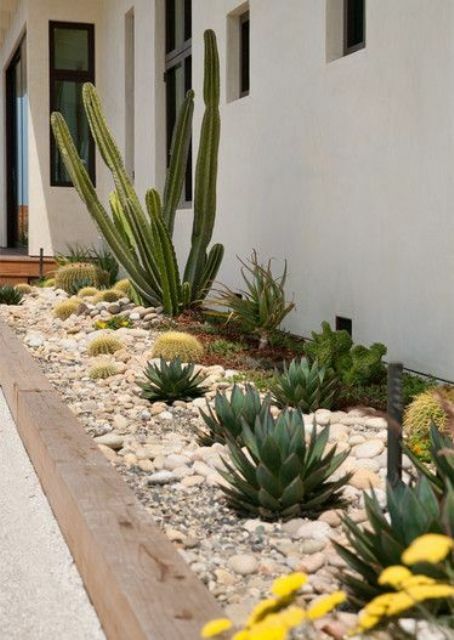 Try various shapes and sizes to create an unforgettable space, and you’ll easily get it! 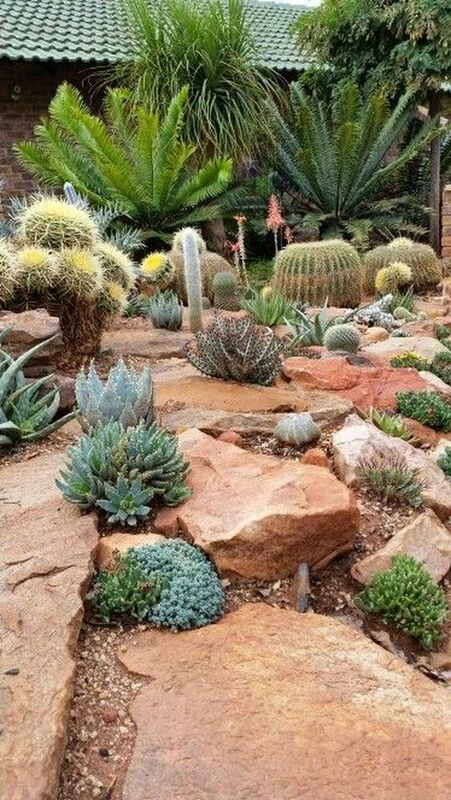 Rocks are an indispensable part of a desert and including some large and spectacular rocks into your desert garden is a very cool idea. 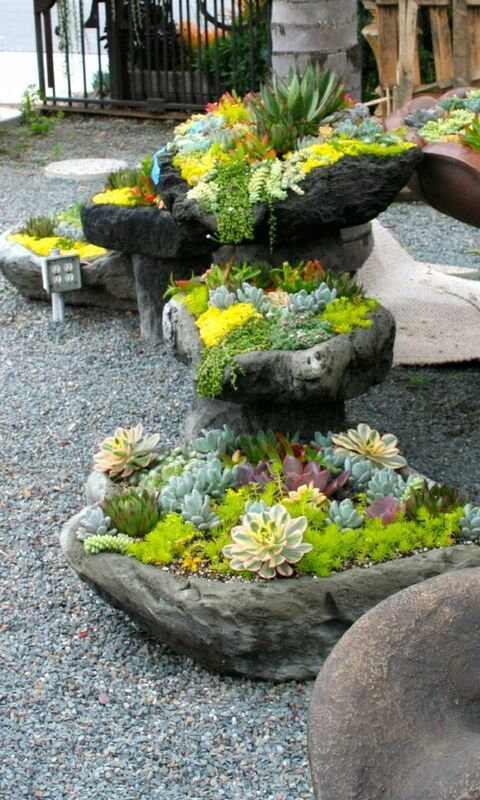 You may go for rock steps, for large rock benches and just rocks incorporated into the landscape here and there. 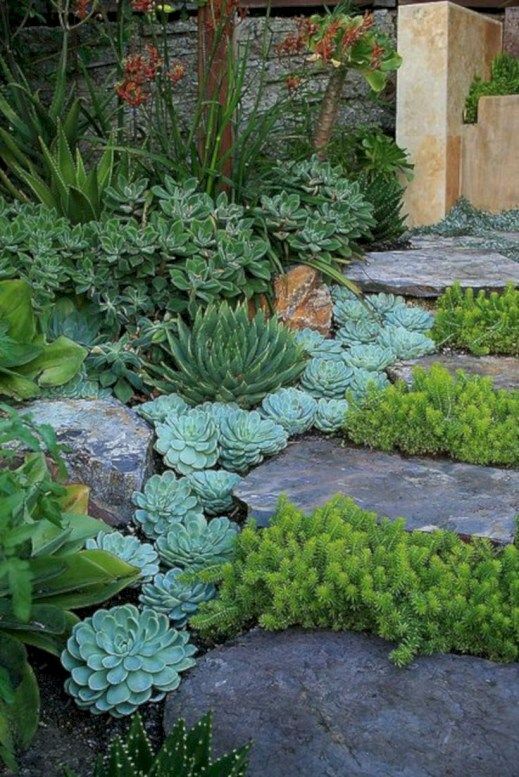 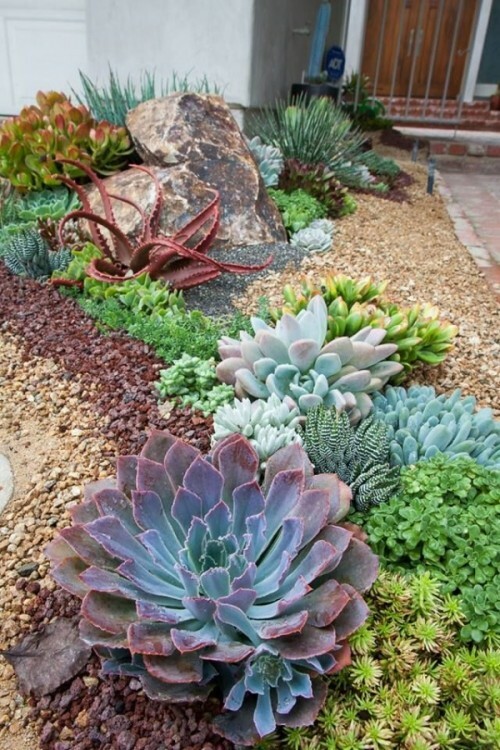 Create a layered look with succulents and cacti, mix up various agaves and other plants filling up each inch of your garden at each level, otherwise the garden will look a bit empty. 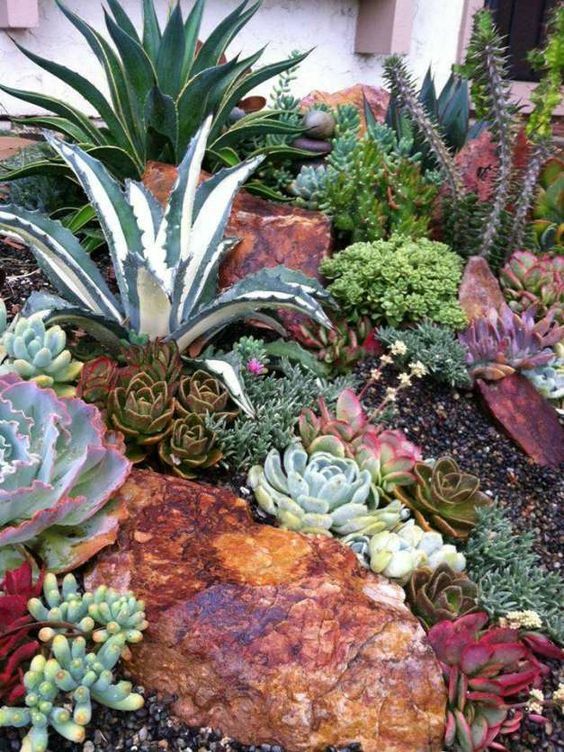 Rock various shades or go for the same ones but play with shapes and sizes – it’s up to you and the landscape you want to create. 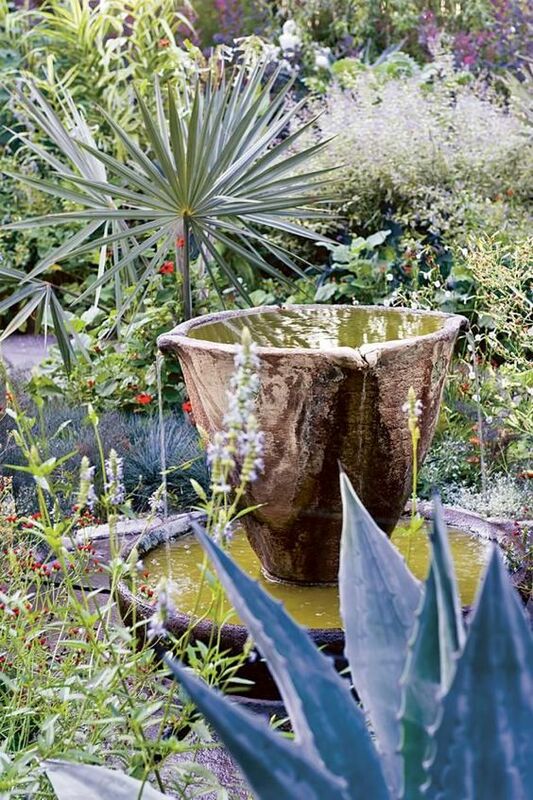 A fountain is always an oasis that brings relaxation and relieves tension but especially in a desert garden, which reminds of dry lands all the time. 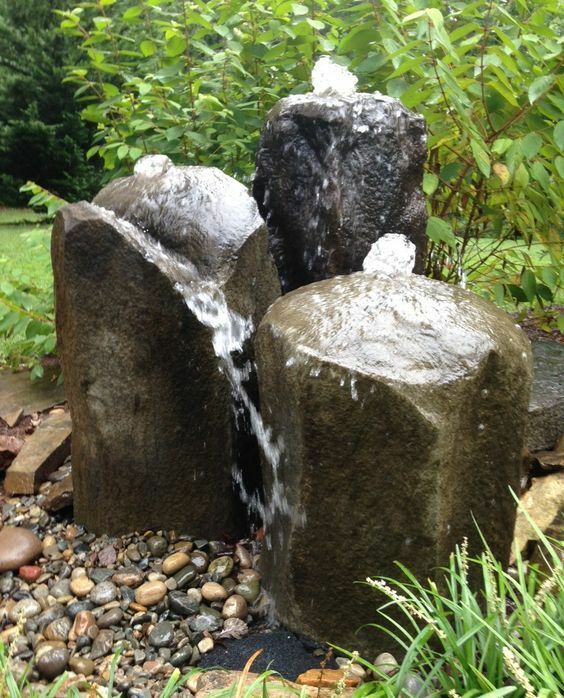 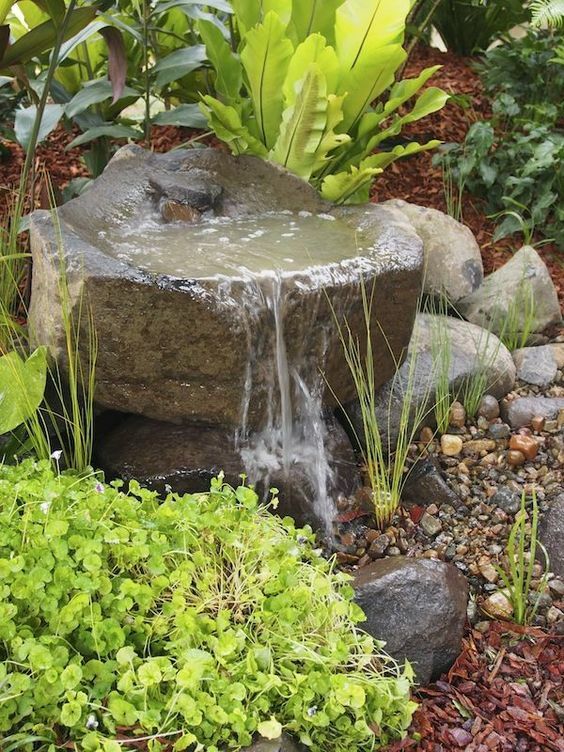 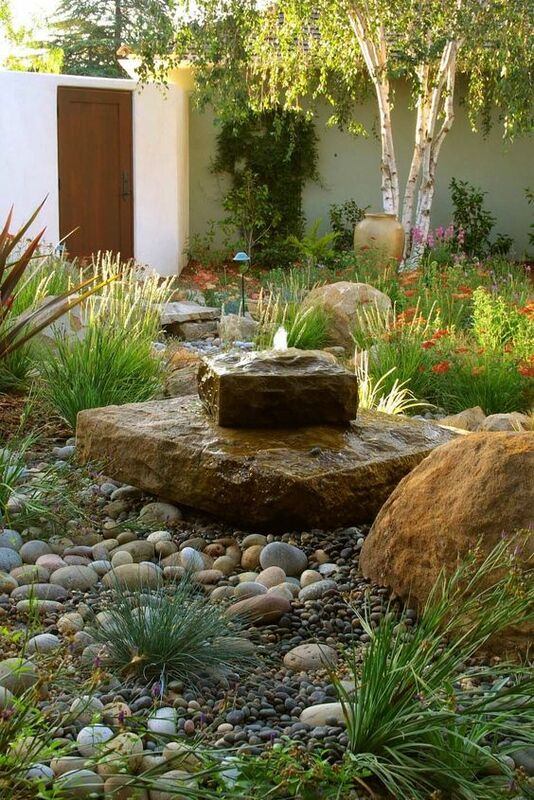 Go for a natural-looking fountain of rocks or bowls and you’ll make your desert garden very calming and welcoming. 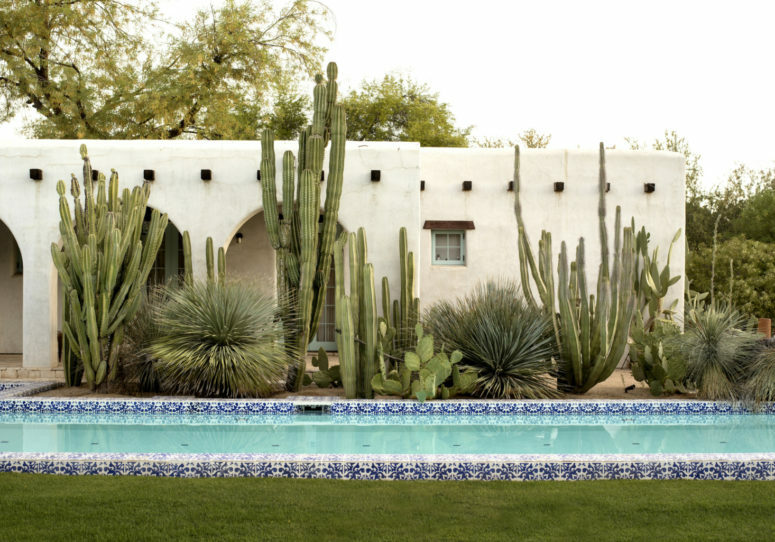 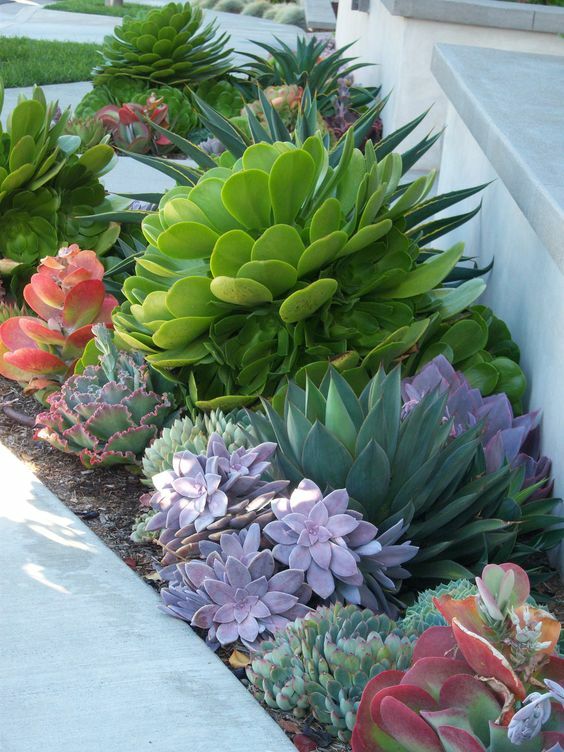 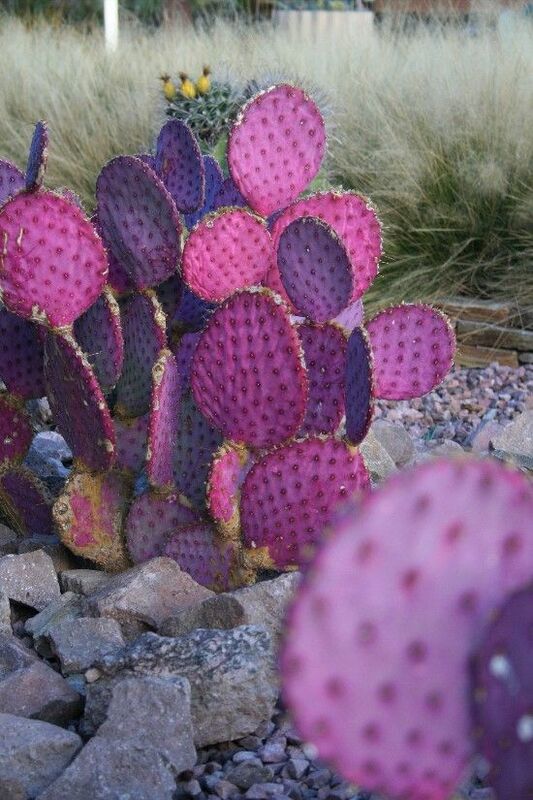 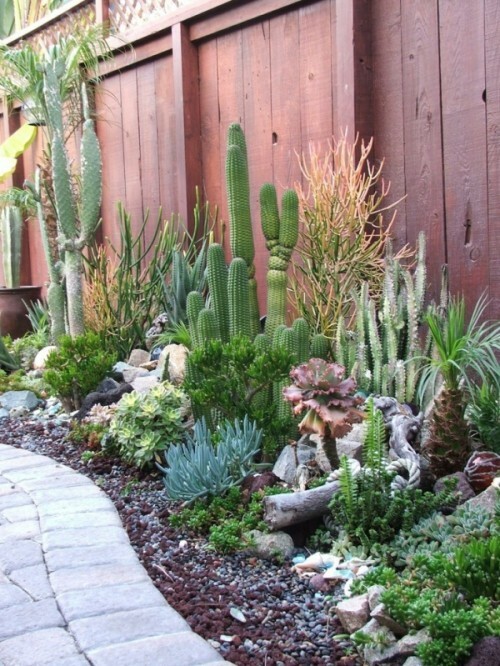 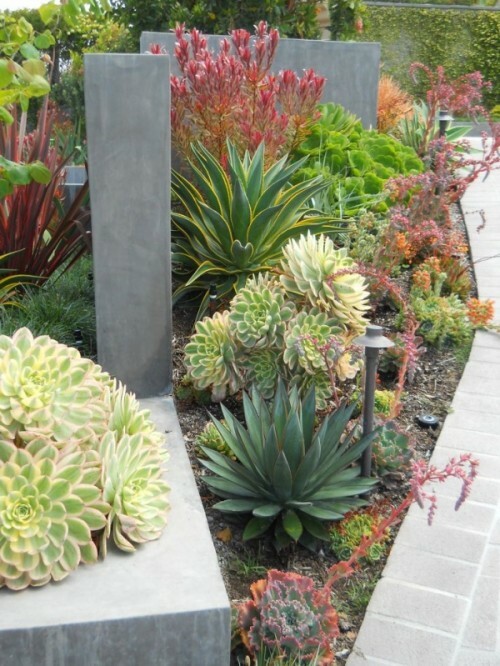 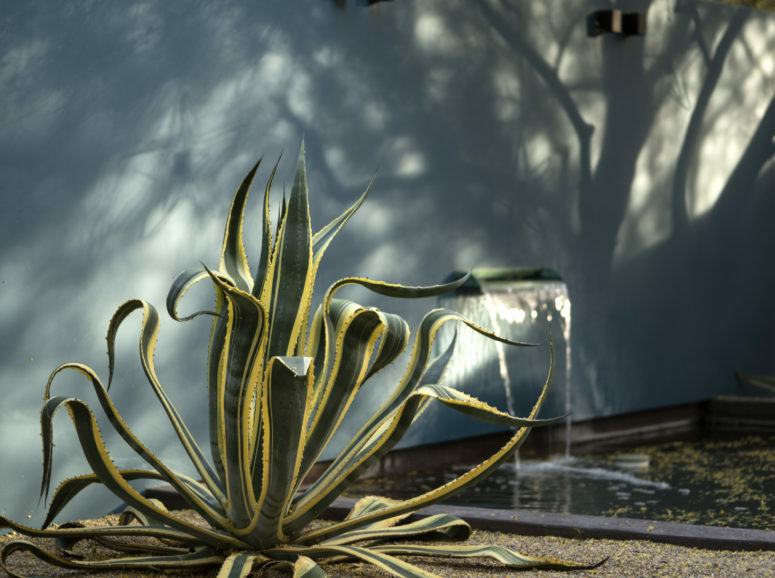 Statement plants – succulents, agaves, cacti – are amazing to make your garden catchy. 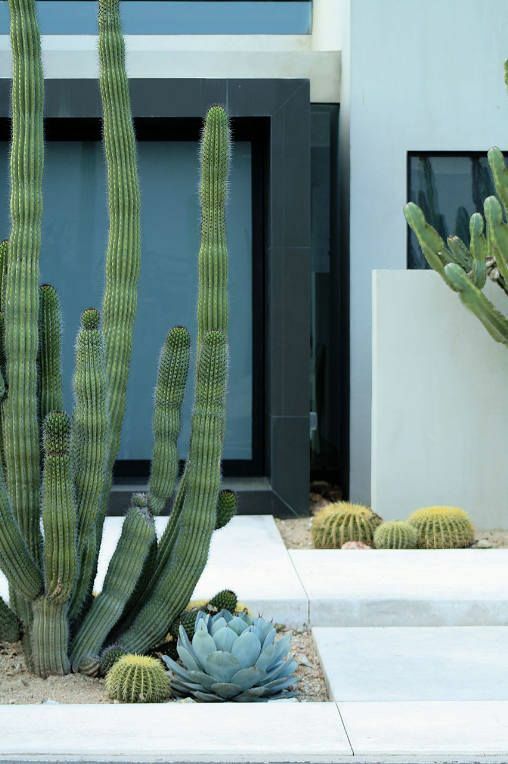 You may play with shapes, sizes, colors and patterns on the plants, go for a super tall post cactus or a super bright agave, or try a catchy succulent – it’s up to you and your space. 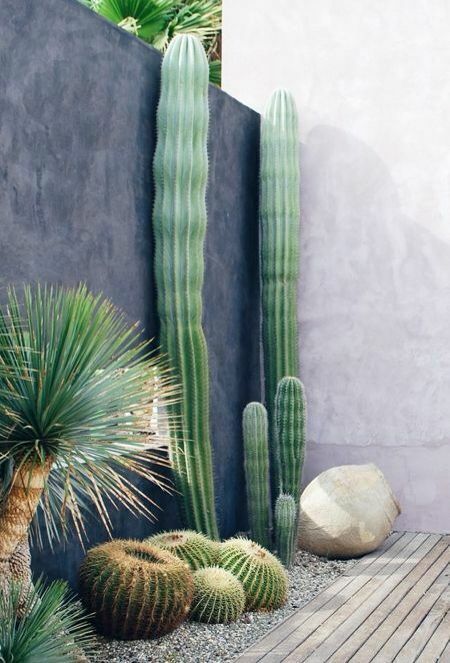 Get inspired and create your own desert masterpiece!